Sun Kil Moon and Red House Painters' Mark Kozelek explains his unlikely inspiration, reflects on aging, and chooses beauty over catharsis. When Mark Kozelek spoke to PopMatters back in 2006, he mentioned how he had been on a "lonely, strange path", perpetually in search of those great, special moments in life where everything just seems to line up perfectly. Yet Kozelek's career -- as a solo artist, with current band Sun Kil Moon, and as the frontman for the legendary Red House Painters -- has never had the fortune of tasting those special moments for very long. 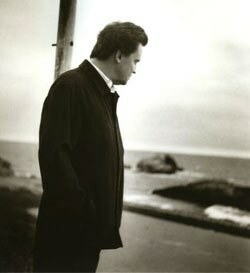 Throughout Kozelek's 16-year journey in the music business, few would have thought that his low-tempo, delicate songs would ever even touch Top 40 radio, but it wasn't long before his cathartic, personal anthems connected with everyone from college students to professional tastemakers; the Red House Painters even scored a minor-key hit when their cover of the Cars' "All Mixed Up" got featured in a Gap ad. Yet Kozelek's highly-publicized battle with record labels -- who asked him to shorten his 12-minute epics while also delaying the release of the RHP swan-song Old Ramon by four years -- eventually led him to start his own. 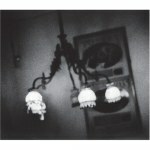 Earlier this month, Caldo Verde records released Sun Kil Moon's April: Kozelek's first disc of original material in nearly five years. To some, Kozelek may come across as a recluse, but he's anything but: since the release of Sun Kil Moon's debut -- 2003's extraordinary Ghosts of the Great Highway -- he's scored a film, acted in the movie Shopgirl, and put out a double-disc live album as well as a Sun Kil Moon record consisting of nothing but Modest Mouse songs. Though that last one took many people off-guard, Kozelek told PopMatters in 2006 that the idea of a covers album was more out of necessity than anything else: "Maybe at that time I needed a distraction. I needed to go into a different place and get away from myself." When I asked him about what was different in making the more somber-sounding April, Kozelek revealed that that period was more tumultuous than anyone could have expected: "A friend of mine passed away unexpectedly at the very end of making Ghosts, someone who had been as close to me as someone could get, someone who was far too young. But I couldn't really sing about it for a long time -- not in the way I would have wanted to. I needed to process, put my mind and life to use doing other things." During our brief Q&A session (via e-mail), Kozelek touched not only his recent struggles, but also on the depressing nature of Christmas, how to truly age gracefully, and how sometimes inspiration can come from the most random (and unexpected) places. I've been listening to April for the past while now, and there's no denying that it's a very different beast from Ghosts of the Great Highway. For me, this one feels much more autobiographical than Ghosts, which veered from more character-driven songs ("Glenn Tipton", "Salvador Sanchez") to more personal laments ("Carry Me Ohio"). Here, you seem to be confronting much more personal issues, particularly with "Blue Orchids" and "Lucky Man". What, ultimately, was different for you in creating this record? Both are very personal records. The boxer titles lead people in a direction -- but songs like "Lily and Parrots" and "Floating" are very personal. April is a heavier record, maybe because of [the] changes that have happened since then. A friend of mine passed away unexpectedly at the very end of making Ghosts, someone who had been as close to me as someone could get, someone who was far too young. But I couldn't really sing about it for a long time -- not in the way I would have wanted to. I needed to process, put my mind and life to use doing other things. I wasn't sane or rational about what had happened, and I didn't want to sing about any of it, not ever really, or at least not until I could pay tribute to her with something beautiful, not just something cathartic. I'm not saying all of the songs are about her. My life has been filled with many things since then. But her memory was with me when writing some of these songs. On a related note, the title of this album struck me as somewhat different in tone by itself. I think a lot of people just assumed -- at least initially -- that you called it April to tie into its April 1st release date, but then, of course, I heard the line from "Harper Road": "Sorrow came in floods this April / Without reason or warning We're now in May, June, and July / Don't leave my love, don't leave my side"
Months and season are up to interpretation. Christmas is cheery for some people, and depressing for others. April has a certain tone to me, and maybe this album captures that. I feel that it's too blunt a question to ask, "What sorrow are you referring to?" but, by the same token, you tend to be a man who "lives" through his songs, writing very personal lyrics that spawn catharsis in others. I get the feeling that people often come up to you feeling like they know you already because of this. As a songwriter, what do you often hope people take away from a Kozelek tune? I really don't know. I just hope it takes them to the same place [that] Neil Young and Led Zeppelin records take me: just away somewhere. For me, one of the most striking songs on the new disc is "Like the River", which appears to be confronting the notion of aging. Some wonderful lines in there: "Those days poured out faster than rounds from a gun"; "I have all these memories, I don't know what for", etc. In hearing this, I actually thought all the way back to the song "24" from [the Red House Painters' 1992 debut album] Down Colorful Hill with its lines "I thought at 15n I'd have it down by 16 / And 24 keeps breathing at my face". When was the last time that you heard that song and -- more importantly -- what has changed for you about that subject? My perspective is so much different now, being 41. The main difference between now and then is just realizing that your time will come to an end -- and that it might not be far away. You see your face change, see the gray hairs sprouting up. When you're 24, you worry about the day you'll turn 40. But when you're 40 and you know of people struggling with serious, life threatening heath issues in their 50s, your perspective changes. I also think that losing a friend, who was only 35, put a certain weight on my heart and my soul. You're just more in tune with loss as you get older, and also with basic getting older stuff. Your friends have kids, get married, move away. I used to have 20 people over to watch movies and boxing matches -- but now, they're all in Portland or somewhere else, gardening. But at the same time, in a way, I enjoy my days more than I did in my 20s; you look around more, take things in, listen more, etc. On the musical side of things, April often feels like the downtrodden cousin to Ghosts. For one, there's no huge rock guitar epics on the scale of "Salvador Sanchez" or even "Lily and Parrots" -- and even the songs that are weighted with rock guitar ("The Light" and "Tonight the Sky") don't seem too interested with rolling around in fields of distortion. Anything in particular that made you shy away from fuzzed-out epics this time 'round? It's just what I was feeling at the time. There's never anything planned. I just do what I feel is best for the song at that time. There's also the much-ballyhooed fact that this time out, you enlisted the vocal talents of both Will Oldham and Ben Gibbard. Obviously, if you wanted more voices, you could have just looped yourself as in the past; what drew you to their particular pipes? I really wasn't going for the 'name' thing at all. They are just friends of mine who have great voices, so why not use them. I've occasionally used different singers on records -- Stephanie Finch sang on the [Songs for a] Blue Guitar record, etc. and I've had guests like Tim Mooney and Bruce Kaphan play instruments as well. These voices just seemed right for these particular songs. These two guys just have bigger names than the others. Eric Pollard from Retribution Gospel Choir also sang on the record -- more than the other guys did -- but no one mentions him. The sleep it overtakes her"
I'm not looking for an explanation or even a vague idea of what this verse/song is about -- I'm just looking for some kind of hint or direction as to where it leads to (or even the general direction from which it came). The most accurate superlative I can toss at it is "unsettling". Hell, you even abandon typical rhyme scheme this time 'round. For me, I view it as April's centerpiece. What do you see it as? I was playing guitar in a room, and heard a voice crying in another. That's where the song began. But, for me, it's like Lou Reed's Berlin. I love that album, but don't want any of it explained to me. I go into a certain world when I hear it, and don't want it interrupted. Last question! Actually, this is the same question I end all of my interviews with: so far in your career, what has been your biggest regret, and -- conversely -- what has been your proudest accomplishment? No regrets really. Right now, I'm proud to be putting out my on records. There's a lot of work to do, but it makes me happy. The cynics inside of us can sit sometimes sit around and crack as many "April showers bring May flowers" jokes as we want, but the truth of the matter is that Kozelek seems to have -- once again -- found some genuine peace in his life; something that's worth more than any radio chart success he could ever have. It may have been five years for us to finally hear some new songs from him, but in listening to April, it's obvious that it was worth the wait.